We are excited to announce that The Inflatable Run will be helping us in our fundraising efforts at cities accross the nation in 2018. Inflatables Are No Longer Just For Kids. 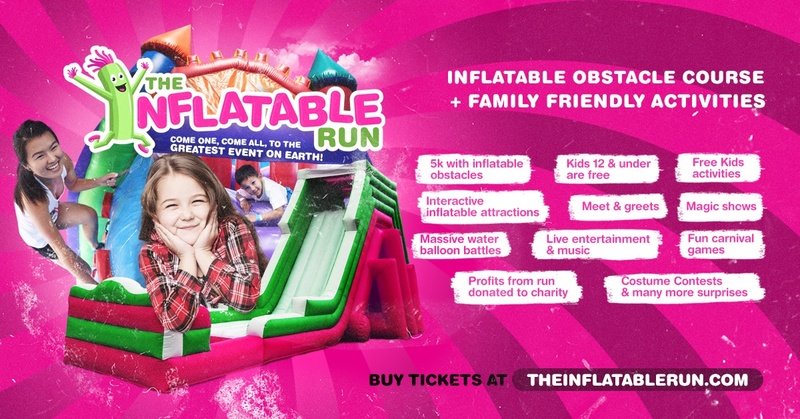 The Inflatable Run is a family friendly 5 kilometer run or walk that is fun for all ages & fitness levels. The race course features fun inflatable obstacles and slides along the way to the finish line. The festival area features fun carnival attractions, delicious food trucks, live entertainment, music, prize winning carnival games and fun kid activities. Kids 12 & under run for free, and all profits from the charity run are donated to Just Care More, helping at risk youth. Family Fun & Fitness Combined Into One Event at The Inflatable Run. If you haven’t checked it our, visit their website and find out when they’ll be at a city near you!